“Sorry to disturb you young lady, what kind of vegetable are you holding there?” I was waiting in line at our farmer’s market with curious baby Isac resting on my right arm and two large bunches of green and purple kale on my left and turned around to see the kind old woman that was talking to me. At first I looked down at our little pumpkin, staring at me with his big eyes and cute little hat. But then I realized that it was the kale she was asking about. I was a bit surprised by the question, as kale has been one of the most hyped ingredients these past couple of years and you can buy it in most food stores now during the autumn. But I quickly woke up from my pompous foodie bubble. I told her that it was called kale and explained some of the wonderful ways how you can prepare it. And while I was talking I noticed that the whole line was listening in on our conversation. Apparently we need to keep talking about kale. So, even though quite a few of you blog readers probably already are using kale in soups, smoothies, batters, bread, salads, pilafs, tomato sauce and as chips, I have realized that there also is a large bunch of people that still haven’t. If you are one of them, I truly encourage you to try it. The leaves might seem thick and sturdy at first, but that only makes them more versatile to use (as you also can use them in warm dishes). And when you massage the leaves with some oil, the sturdiness disappears and it becomes smooth as lettuce. I haven’t even mentioned how healthy it is! Kale is in fact one of the most nutrition packed vegetables on earth. 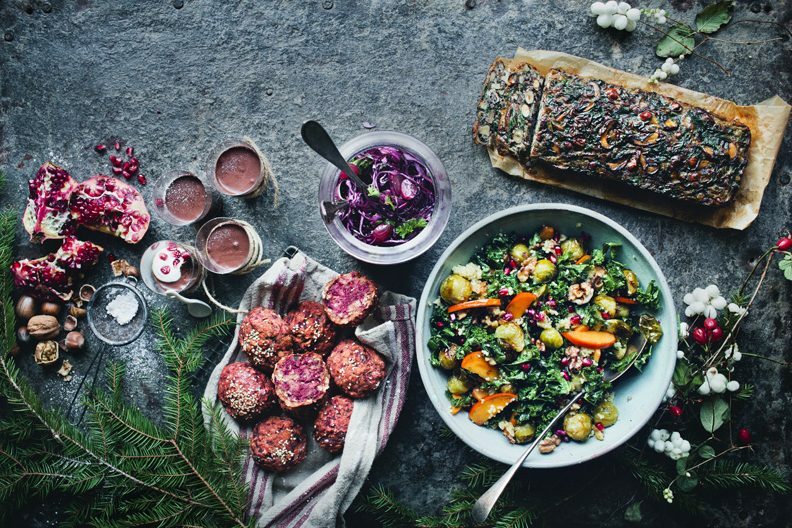 So go grab some kale and start cooking! Today we are sharing two different ways to eat this superfood. 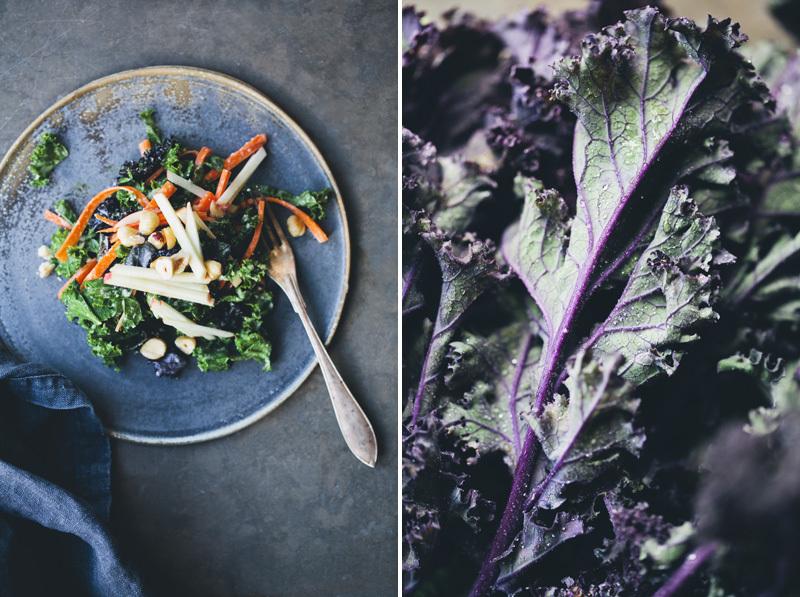 In this first recipe, we have paired kale with two other ingredients that are in season at the moment, carrots and apples. This is a kind of a slaw with sweetness from apples and honey, creaminess from tahini, tang from lemon and crunch from carrots and roasted hazelnuts. It is a delicious lunch full of flavor and texture and if you add some black lentils, it also makes a filling dinner. I’m sure you can tell from David’s photos that this truly is an awesome recipe. The second recipe is this video where Elsa and I show how to make Kale Chips. 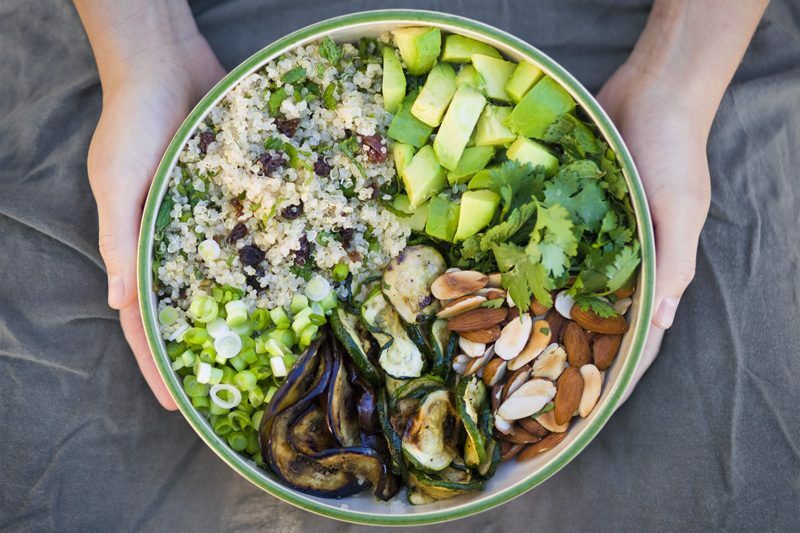 It is a quick, easy and a fun way to eat your superfood. Warning to sensitive parents! The following clip contains images of a child stuffing her mouth full of healthy food. You can also read the full recipe over on our youtube channel. Heat a skillet on medium-low heat. Toast the hazelnuts until the skin has cracked and golden in color. Coarsely chop the nuts. 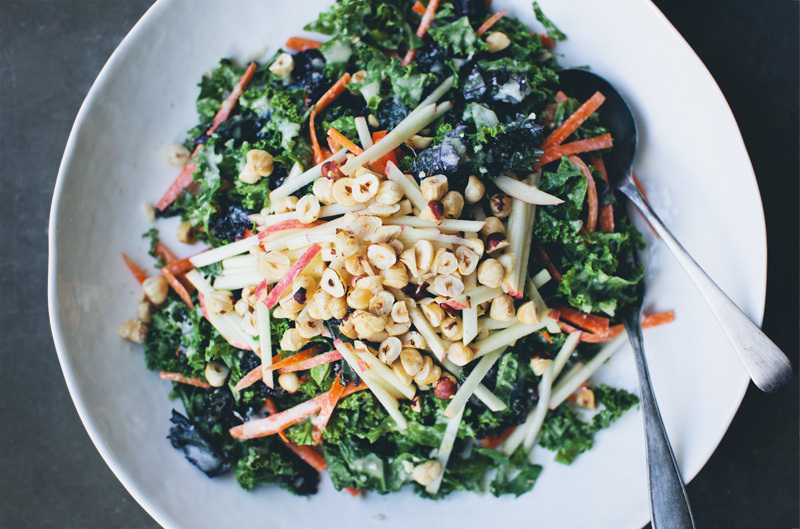 Combine the shredded kale and carrots in a large mixing bowl. Stir together tahini, honey and lemon juice in a small bowl, add water a little by little and stir until desired consistency. Pour the dressing over the kale slaw and combine. Use you hands to massage the leaves, make sure every single kale leaf is covered in dressing. Top with shredded apple and toasted hazelnuts. Ready to serve. We also wanted to let you know that David, Isac and I we will be in London for some book related events in a couple of weeks. 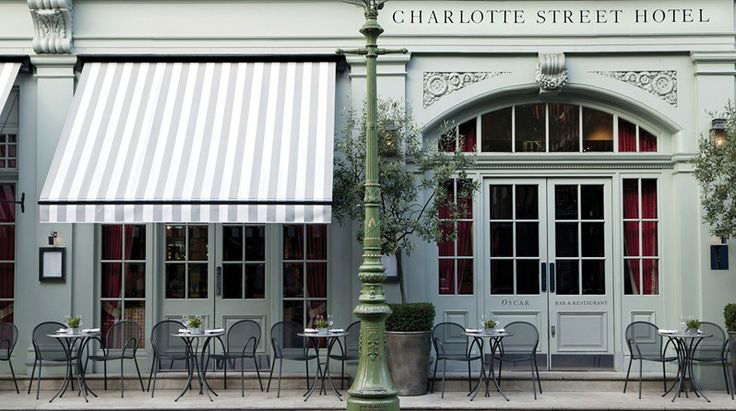 One event that is open for public is a food and film night on Tuesday 23 September at gorgeous Charlotte Street Hotel just north of Soho. We were asked to select a food movie that we both liked and since film is something we don’t often agree on, it took us about two weeks to finally decide on the food blog movie of all times, “Julie & Julia” with the awesome Meryl Streep as Julia Child. You might have seen this movie before, but probably not in a room full of other food bloggers. It should make for some interesting discussions afterwards. 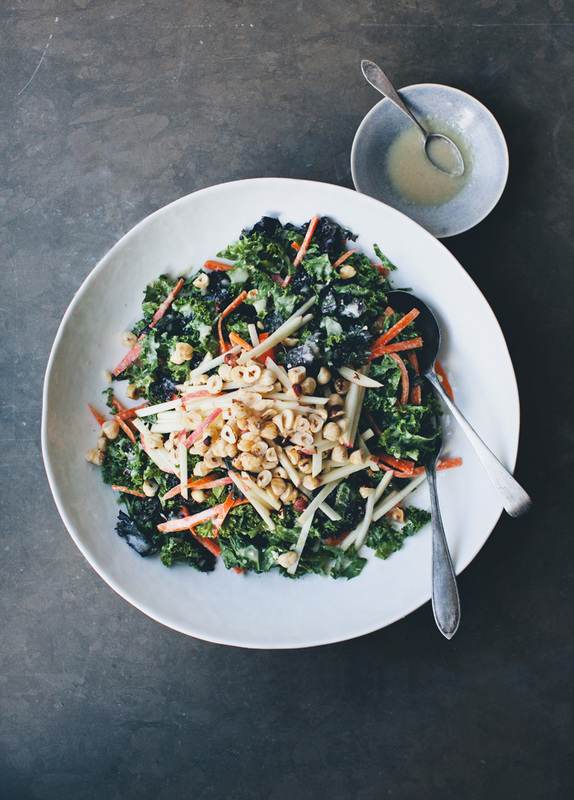 Kale, apples, carrots, and tahini?! So many of my favorite things together in one simple dish! Definitely going to introduce my mum to this recipe, she loves every type of slaw, and I'm sure this one will be no different. I'm really keen to try making my own kale chips because the ones in the stores where I live are ridiculously expensive. Wish I lived near London so I could go to that movie night. Congrats on your new addition. Kale is growing like mad in my garden, will be making both of these recipes. Nice video! Well, I've certainly eaten my share of kale but am always looking for more recipes. That's too funny that you thought she was talking about your son! Ha! 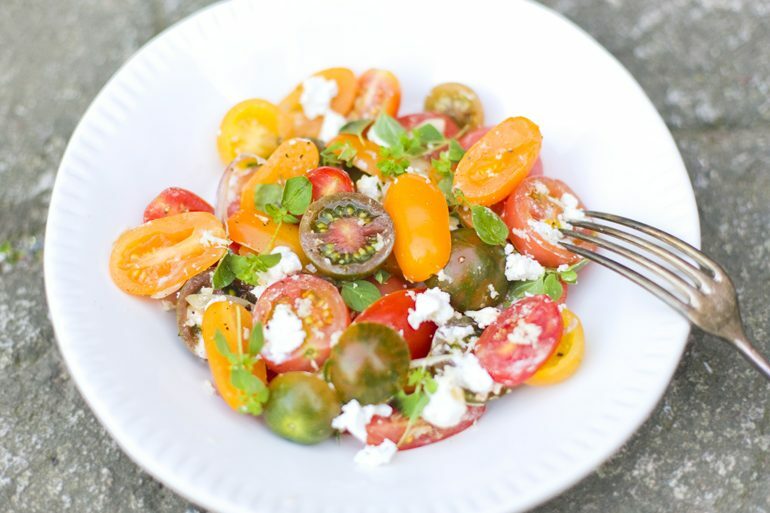 Gorgeous salad! As the produce from the garden starts to slow down, the kale is the one thing that will NOT be stopped, happily. Thanks for sharing. Looks amazing! I love the colours of the salad! The movie night also sounds like fun! Hazelnuts and apples are made for each other! YUM! And purple kale is so pretty. Thanks for the reminder that not everyone is eating the same way we are. Sometimes i forget that quinoa and bee pollen are not in everyones kitchen! Gorgeous salad/slaw! And Elsa is so cute in the kale chips video. I would love to attend the movie night. I am going to check my calendar right away. Wiih! The photos and the video are beautiful, as always! Kale chips are one of my favorites too!! So delicious and addictive! 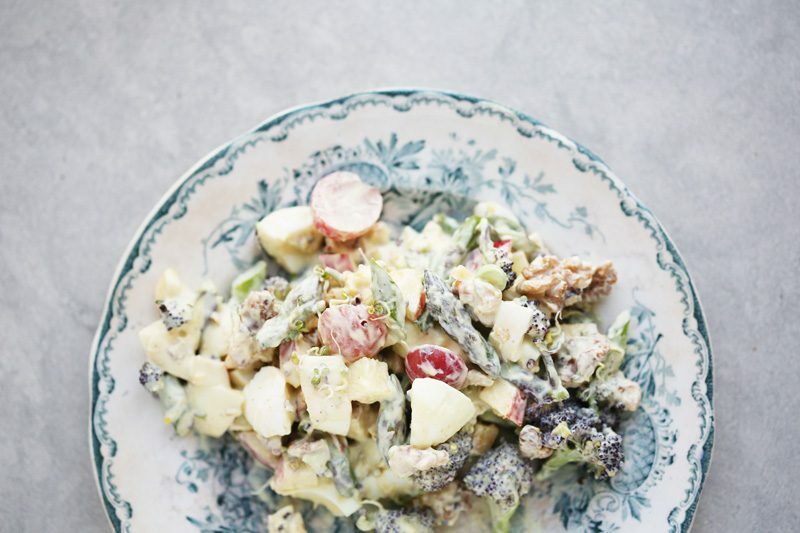 :) That salad sounds amazing - I have a bunch of kale in the fridge right now, so I may be having this for lunch today! I love kale in all forms and shapes and this kale looks amazing. Great pictures too! I used to walk past that beautiful hotel on my way to uni every day and Julie & Julia also happens to be my favourite movie. I hope you have a wonderful night! Also I just ordered a Kale slogan sweater today. Perfect timing! why not grow it yourself? It is so easy to grow, particularly if you cover it with butterfly-proof netting. I love it in my smoothies, but I'm excited to try this recipe! that is a cute story... i like the imagery of having a bunch of kale in one arm and a baby in the other :) and this slaw has allll of my favorite ingredients! tahini! hazelnuts! YUM. im so happy that you guys are spreading kale love at the market. I received a copy of cookbook by my friend Julia @ theroastedroot who wrote all about kale, it was very nice. and this salad sounds perfect for this season.